A 2017 study found that 4.6 million young people in the U.S. live in homes with at least one loaded, unlocked firearm. Rates of youth suicide are higher in states with high gun ownership, according to a new study published in the American Journal of Preventive Medicine. Researchers studied 10 years of teenage suicide rates and found that gun ownership “is a factor that really is highly predictive for what the youth suicide rate is going to be,” said Dr. Michael Siegel, a professor at the Boston University School of Public Health and one of the paper’s authors. In the 10 states with the highest rates of youth suicide, the average household gun ownership was 52.5 percent, the researchers found. In the 10 states with the lowest youth suicide rates, the average household gun ownership rate was 20 percent. The study examined data from 2005-2015. Siegel says that youth suicide is often an impulse decision. Firearms are twice as lethal as other means, which means that access can affect lethality. A study published last year in the Journal of Urban Health found that 4.6 million young people in the U.S. live in homes with at least one loaded, unlocked firearm. 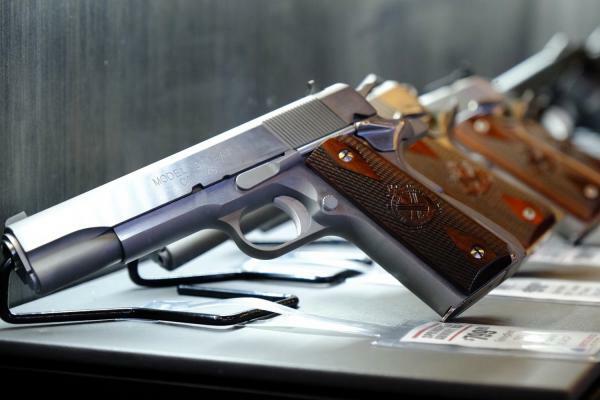 Keeping guns locked away and unloaded, Siegel says, could save some teenage lives. Currently, there are no federal standards for locking firearms, though 11 states, including Massachusetts, California and New York, have laws that concern locking firearms. The RAND Corporation recently studied child-access prevention laws, which require gun owners to keep firearms stored securely away from young people in the home. RAND researchers found supportive evidence that child-access prevention laws reduce youth suicides and unintentional injuries and deaths. More than half of U.S. states have some form of a child-access prevention or “safe storage” law. But these laws vary widely in terms of what they require of firearm owners and whether they impose criminal liability. Massachusetts is the only state that requires all guns to be locked up when not in use. Data from the U.S. Centers for Disease Control and Prevention shows that guns are used in just 9 percent of youth suicides in Massachusetts, compared to 39 percent of youth suicides nationally. 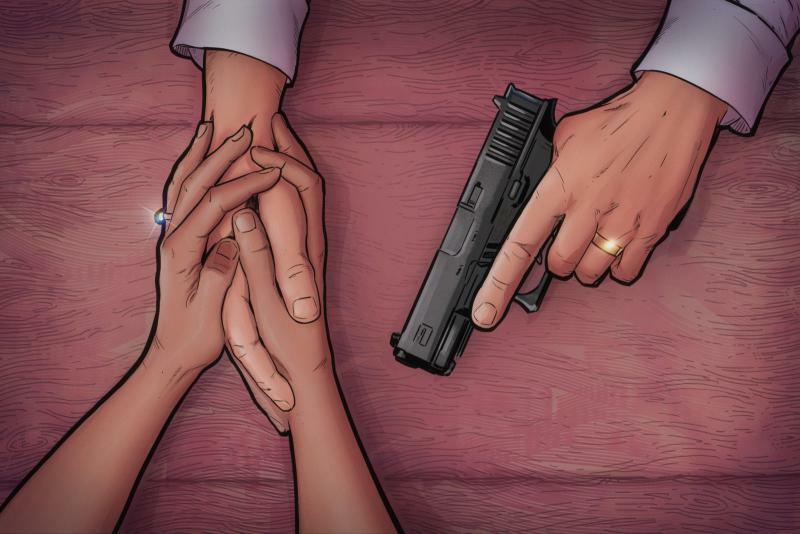 Guns & America is a public media reporting project on the role of guns in American life. Guns & America’s Lisa Dunn contributed to this story. Copyright 2019 Guns and America. To see more, visit Guns and America. Stephanie Bond was married to her husband for almost 22 years before he called her into the master bedroom one afternoon in February 2010. A Decades-Old Approach To Prevent Gunshot Wounds Is Catching On In Hospitals Around The U.S. While working as an orthopedic surgeon in Hawaii, Dr. Diane Payne had treated one person with a gunshot wound in three years. But when she moved to Atlanta in 2013, Payne said it was like treating gunshot victims was suddenly all she was doing. “I was shocked by the number of gun-related injuries that we’re seeing and taking care of here,” said Payne, who works at Atlanta’s busy downtown trauma center, Grady Memorial Hospital. 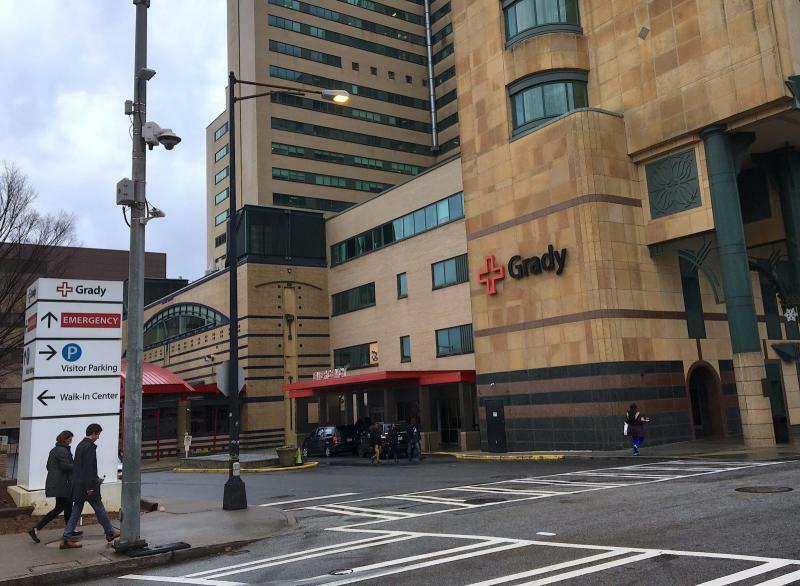 In 2013, Grady treated more than 600 gunshot victims.